5 Reasons Why Babywearing is Exploding in Popularity! First Off... What is Babywearing? 30% OFF ALL BABY WRAPS FOR ONLY A FEW MORE HOURS!!! 5 Reasons Why You Need To Start Babywearing Yesterday! 2. LEARN MORE - The constant stimulation of being worn on the body, also leads to faster cognitive development for your baby. They interact with countless objects throughout the day, hearing what you hear and seeing what you see. Give your child the gift of knowledge! 3. LOVE MORE - In addition to better sleep, and faster development, your child is literally cuddling against your warm body all day long. This is a strong emotionally bonding experience, which releases all the mothering and love hormones. Fall in love with your baby over and over again! 4. DO MORE - As an additional bonus of using our baby wraps, you have both hands free to work, tackle household chores, or run errands. 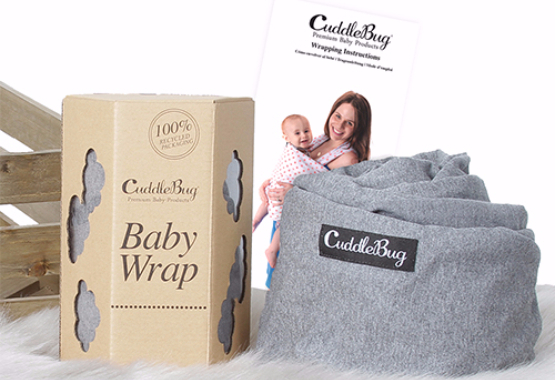 The constant Cuddling often lulls a fussy baby to sleep almost instantly, allowing busy moms to get more done! 5. WORRY LESS - With our 30 Day Money Back Guarantee, and Lifetime Replacement Guarantee on all our products, you can rest assured that if you're not happy, you'll get a full refund. There's no risk, go shop our Baby Wraps now! “Skin to Skin” is when a baby is placed on the bare chest of their mother and a blanket is place over baby’s back to keep them warm. The benefits of skin to skin for mom and baby have been well documented. 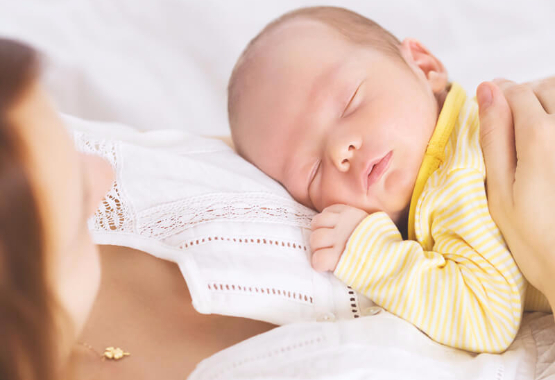 Skin to skin can help regulate the baby’s heart rate, body temperature, breathing, weight, immune system, and aid in more restful sleep. Benefits for mom include regulation of her hormones, increased levels of maternal oxytocin, and ultimately helps increase her milk supply. Skin to skin is recommended at any point during infancy but can be difficult for some moms to do once they get home from the hospital. 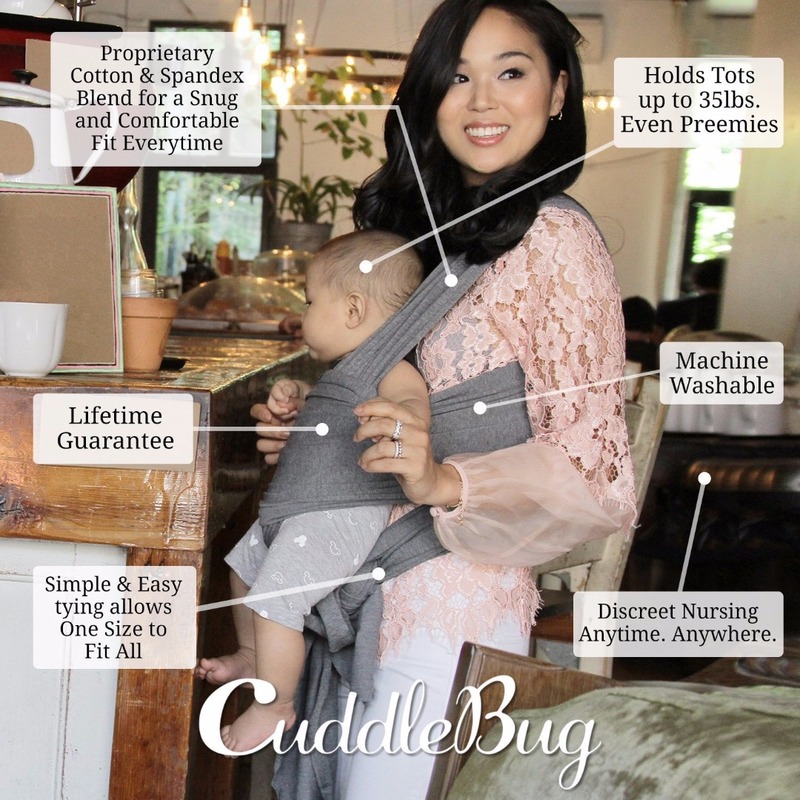 While having baby on the bare chest is ideal, Babywearing with a CuddleBug Baby Wrap is the best way to keep baby close while on the go and provides tremendous benefits for baby, mom, and breastfeeding. Enhanced Learning - Carried babies have enhanced visual and auditory alertness. Carrying a baby promotes cognitive development and speech development, since babies are exposed to more experiences and conversations.